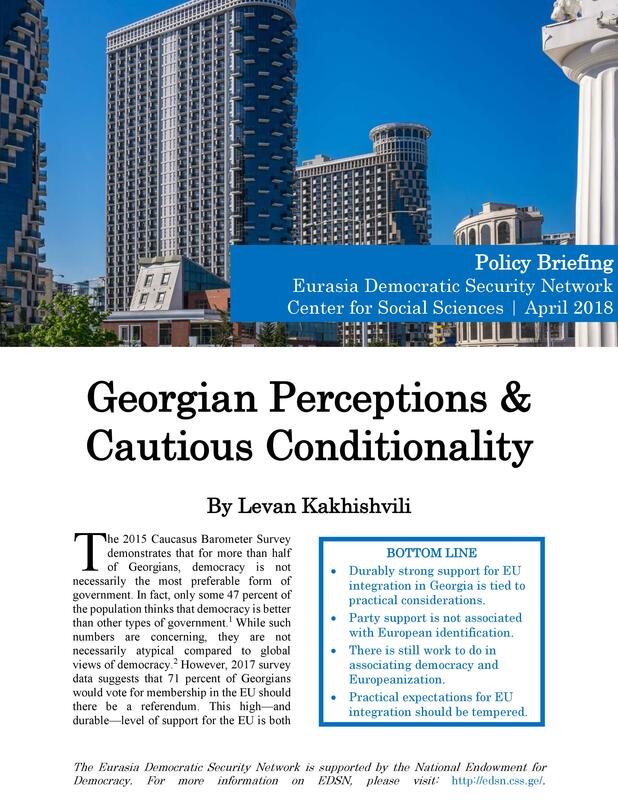 The 2015 Caucasus Barometer Survey demonstrates that for more than half of Georgians, democracy is not necessarily the most preferable form of government. In fact, only some 47 percent of the population thinks that democracy is better than other types of government. While such numbers are concerning, they are not necessarily atypical compared to global views of democracy. However, 2017 survey data suggests that 71 percent of Georgians would vote for membership in the EU should there be a referendum. Levan Kakhishvili is a Researcher at Georgian Institute of Politics, and Center for Political Research at the International Black Sea University. As an Invited Lecturer, he also teaches at Ivane Javakhishvili Tbilisi State University and International Black Sea University. Previously, he has cooperated with the German Institute of International and Security Affairs (SWP), Caucasian House, East-West Management Institute and European Centre for Minority Issues.